The Healing Bath - Illusive Design Inc. The Healing Bath™ is a Canadian wholesale/retail business that researches, prepares, manufactures, packages, labels and sells therapeutic Dead Sea personal care products. Its WordPress e-commerce website design was built to encourages visitors to orders products through a customer-friendly mobile-responsive e-commerce interface. 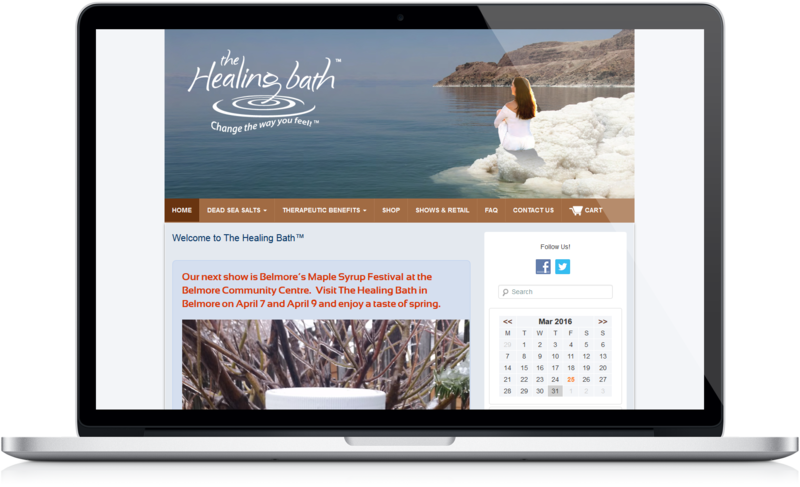 The mobile responsive WordPress design works on any device through any platform – giving The Healing Bath™, a further reach than ever before.Illusive Design ensure that your website design is tested and tracked. We look to improve its performance with a special focus on increasing user engagement and assisting in generating leads. A WordPress design is perfect in allowing us to do this and so much more. 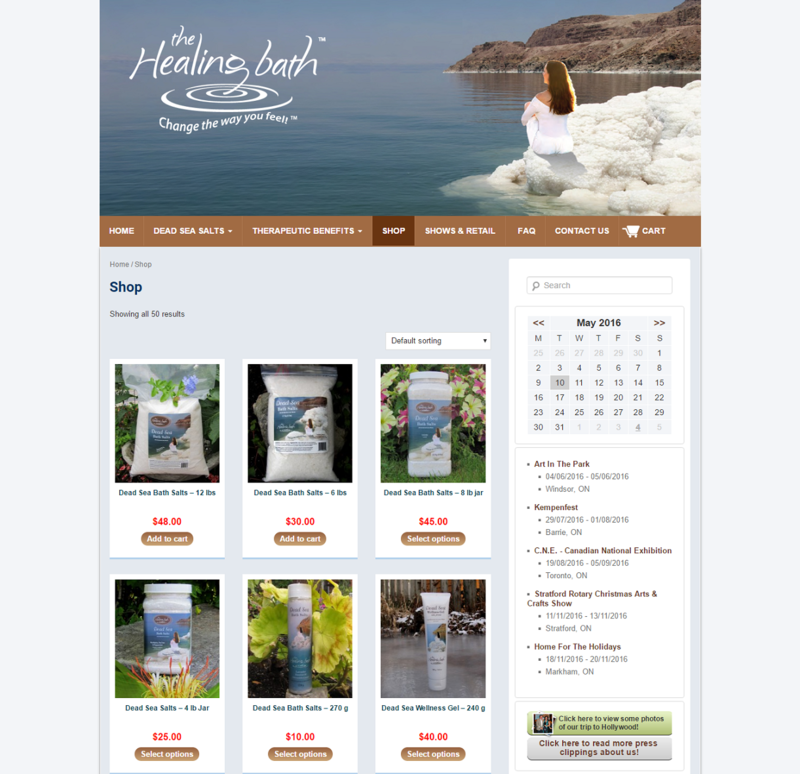 With content-based pages that provide sales-driven, accurate, and straightforward information about The Healing Bath products, the types of sea salts they sell, and the rates offered, their website allows the visitor to make an easy decision on whether they are going to buy right then and there. 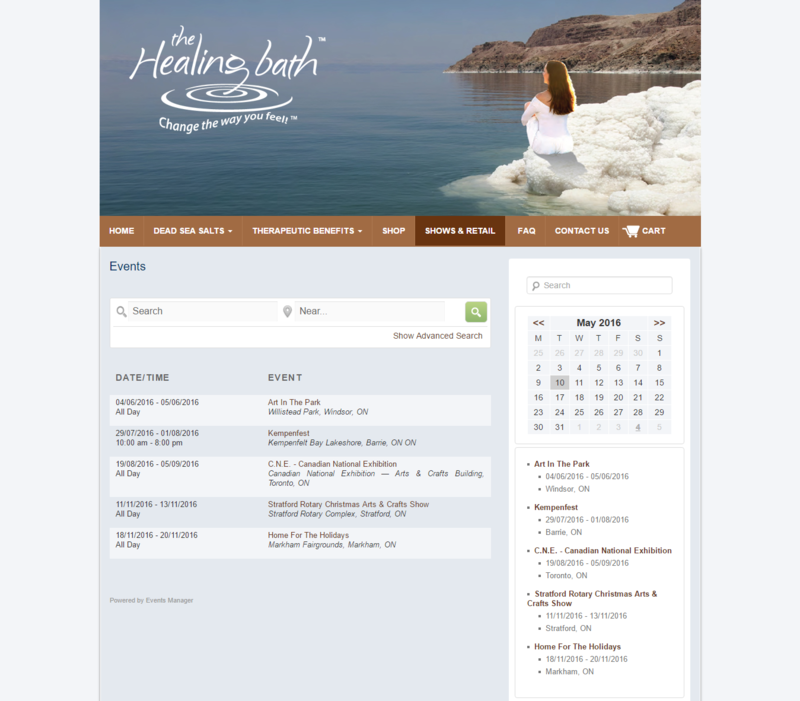 The highly optimized design continues to act as a base for Healing Bath online store representation. With a fast, easy-to-use functionality adaptable across multiple platforms, this website is perfect for the company.